How experienced am I in using a chainsaw? How often will I be using the chainsaw? What type of wood will I be sawing most often – hard or soft? What size of trees will I be felling most often? How important are the ergonomics of the chainsaw? Should the chainsaw be fitted with the extra safety feature TrioBrakeTM? 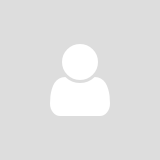 How important are the service and maintenance features? Do I need an easy-to-access air filter and spark plug? How important is the ease of stretching and replacing the chain? Should the chainsaw be adapted for winter use, with heated handles? Proficiency and experience. Choose a smaller chainsaw that is easier to manoeuvre if you’re new to chainsaw work. If the chainsaw is too heavy, your arms and hands will tire, which in the long run represents a safety risk. Wood types and size of trees. Choose a larger chainsaw with more power if you want to fell larger trees, especially hardwood. If the model is too small, the chainsaw will be subjected to great strain and unnecessary wear. The appropriate length of the guide bar is determined by tree size and to some extent by the level of your expertise. If you’re used to handling a chainsaw, you should have access to at least two different guide bar lengths, allowing you to vary the guide bar length with different tree sizes. A shorter guide bar weighs less and is easier to manoeuvre when doing limbing work. A longer guide bar is used for larger trees. Professional saws are chainsaws with maximum performance and optimal ergonomics. They are designed for professional full-time or part-time use and they are often available with heated handles. All-round saws are robust chainsaws that are built in the same way as professional saws, but with a slightly lower performance. They are designed for part-time use, such as for woodcutting. Consumer saws are small and easy-to-use saws designed for home use by people who don’t use their chainsaws very often. 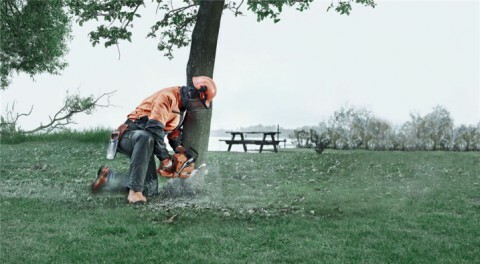 Tree care saws are developed only for professional arborists in tree care work.